50-something friends "The Bird Nerds". Connie and I have this nasty habit of bringing cold weather to Florida when we visit. Makes it difficult to plan outings on the boat or other outdoor activities. On this trip, I ended up at Babcock-Webb National Wildlife Refuge a few times in the early morning even though it was pretty cold. 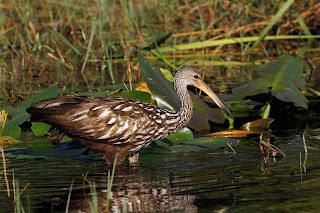 I was really lucky to find a few interesting birds and get some photos starting with these VERY accommodating Limpkins. 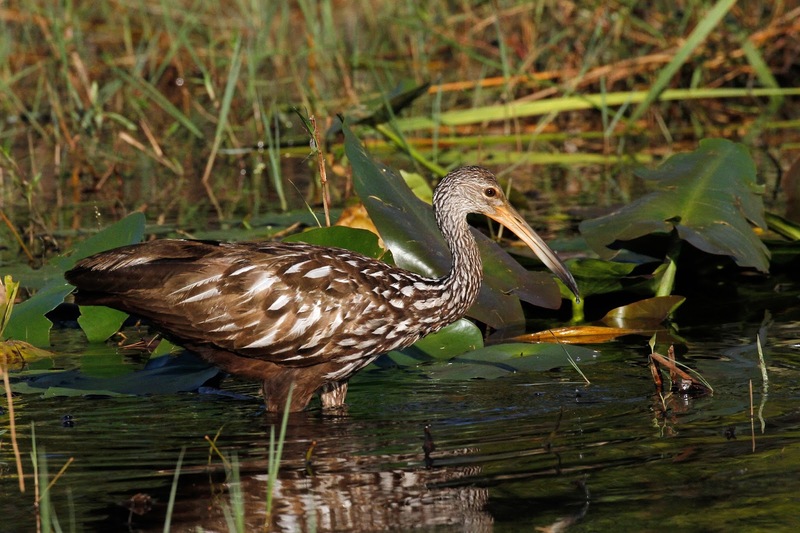 Connie and I first saw a Limpkin 25 years ago near Orlando. 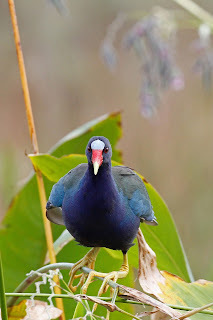 They are usually very secretive wading in dark places. Notice how bland their plumage is to hide them in the marsh and the swamps. This one seemed quite comfortable in the sunlight. 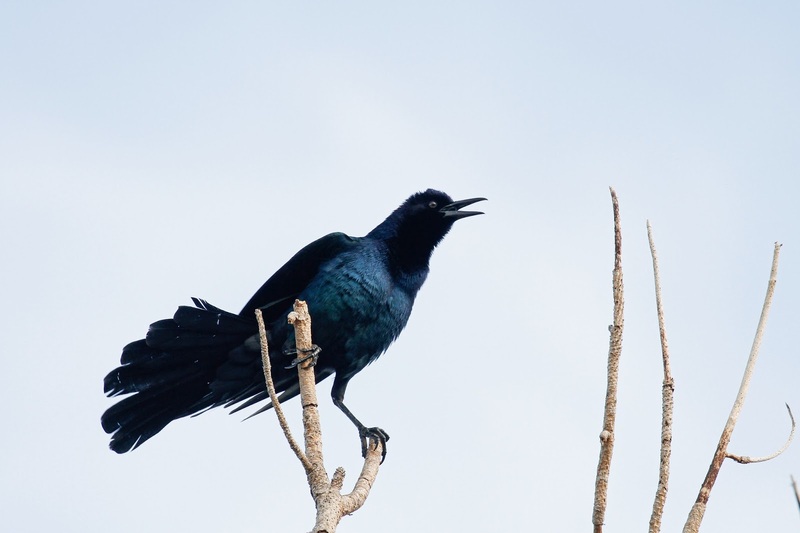 He was even squawking loudly. After a while, he sauntered across the road like he owned it. I found another one in a pond right at the park entrance. This one was more interested in finding a meal than worrying about me. 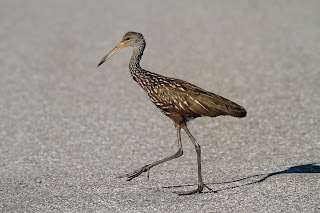 I also had good luck with a few other birds along a pretty deserted gravel road in the park. 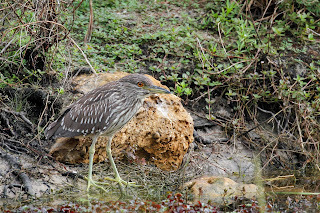 This juvenile Black-crowned Nightheron was trying to blend in but I found him anyway. This Boat-tailed Grackle was grackling away. This Green Heron posed for a long time and didn't care that I was practically standing right underneath the tree. They usually skiddadle as soon as they see you. 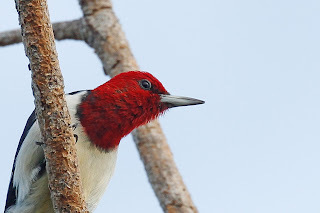 The best find of the day was watching 2 Red-headed Woodpeckers grabbing acorns from an Oak tree above my head. They also ignored me as I stood directly under the tree. 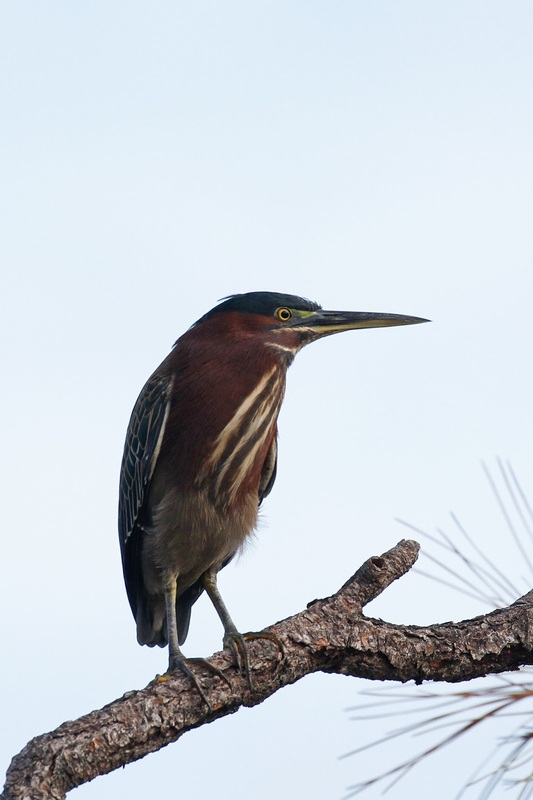 This one flew into the same Pine tree as the heron. I guess he didn't want to be left out of the photo shoot. You can clearly see why this species is the owner of the name "Red-headed". 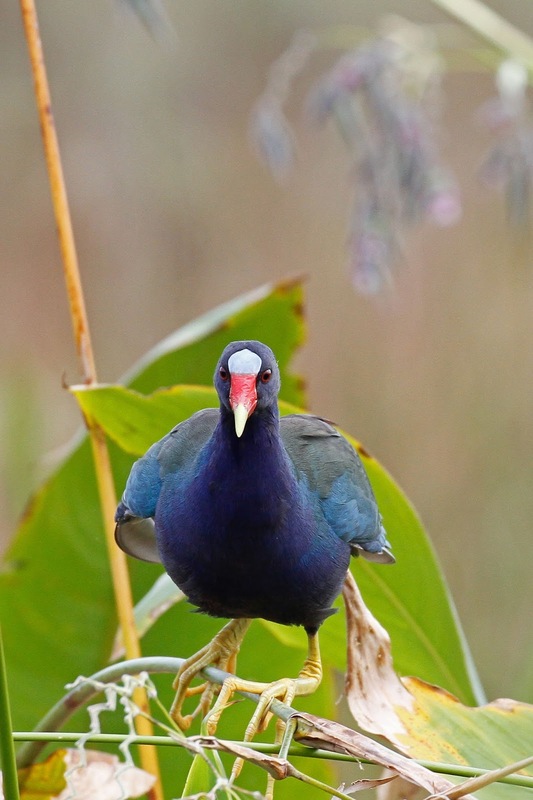 On the way out, I re-found the Purple Gallinule family feeding in the Alligator weed. This time, I got better photos. Check out those giant yellow feet. I have no idea how they navigate on the tiny stems. 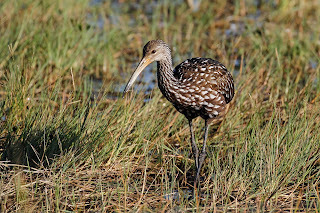 The juvenile struck a nice pose too. He navigated up in the weeds as if he has been doing it for years. We killed some time with bird friends at the house too. More on that later. Guess Hoo Was Out Today? 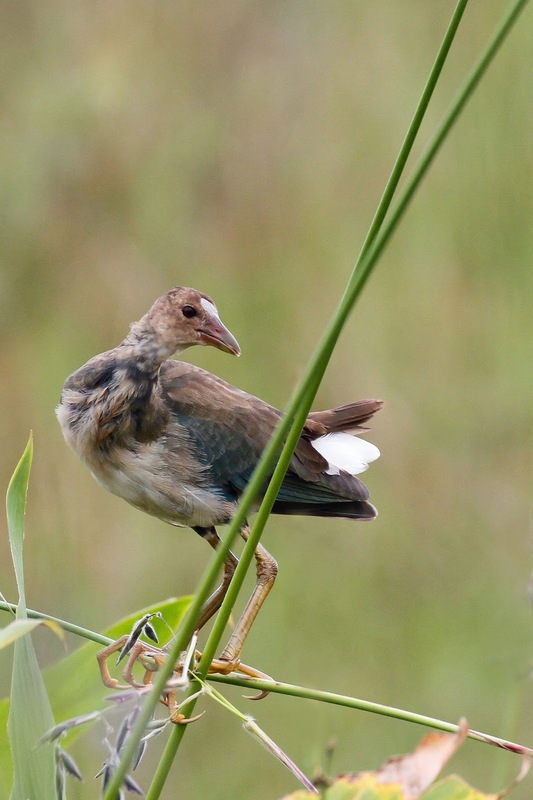 2019 SCHOOL OF BIRDING Workshops - Here they are!!! all content/ images are exclusively owned by PhillyBirdNerd and may not be used without permission. Awesome Inc. theme. Powered by Blogger.